Gnocchi is so quick and simple to make from scratch. It is cheaper than shop bought and often a lot nicer. My first attempt was really good. Bake the potatoes in the oven at 180° for 50 minutes, or until very soft and then leave them to cool so that you can touch them. Scoop out the flesh of the potatoes, from the skins and mash it or pass or through a potato rice. Mix with the flour, salt and egg to make a firm dough. Roll the mixture into 1cm thick sausages then cut into 2cm lengths. Bring a pot of salted water to the boil. 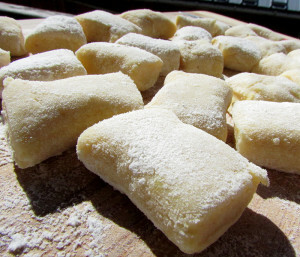 Boil the Gnocchi for 3 minutes, or until they rise to the surface. Drain and keep warm. Enjoy the Gnocchi with your favourite sauce. 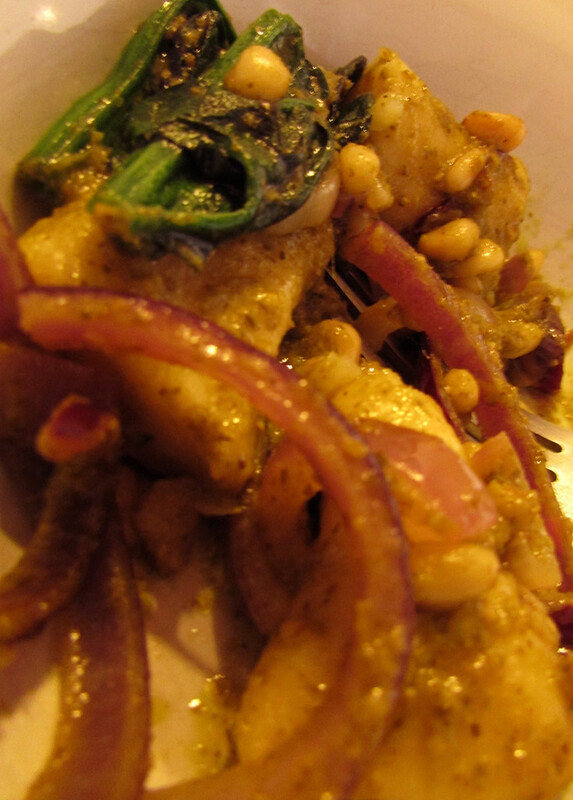 We had ours with pesto, spinach, pine nuts and red onion.